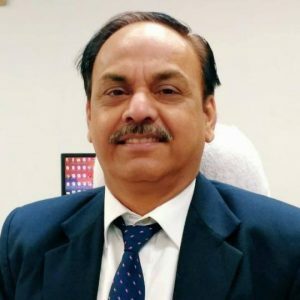 Sanjiv Soni has been appointed as the Director (Finance) of Coal India Limited by Public Enterprises Selection Board (PESB). At present he is the Functional Director of Eastern Coalfields Limited. The decision of appointing Soni as the Director (Finance), CIL was made on Tuesday by PESB. As many as four candidates had appeared for the interview. The other three candidates were Shyam Murari Choudhary, Director (Finance), Western Coalfields Ltd; Mahendra Kumar Baluka, General Manager, Western Coalfields Ltd and Sunil Kumar, Senior General Manager, Bharat Sanchar Nigam Limited (BSNL). Prior to joining Eastern Coalfields, he was the General Manager (Finance), IAD and Western Coalfields Limited (WCL), headquartered at Nagpur. He has also worked in Central Mine Planning and Design Institute (CMPDI) in multiple capacities. Soni was in-charge of finance function for UNDP/GEF/GOI- Coal Bed Methane Recovery & Utilization project implemented jointly by CMPDI/BCCL/GOI/UNDP. An alumnus of St. Xavier’s College, Kolkata, Soni has over 30 years of experience in the coal and mining industry. He is also a member of the Institute of Chartered Accountants of India and the Institute of Cost Accountant of India.